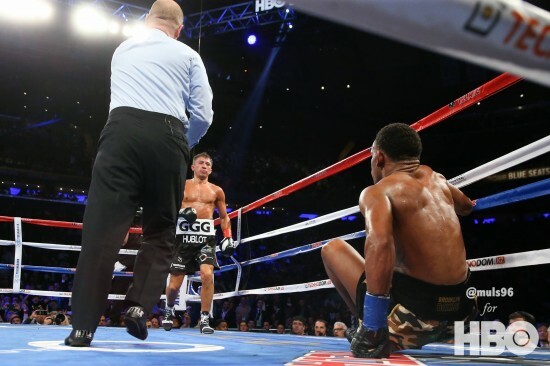 Golovkin vs. Jacobs Fight a Huge International Success! NEW YORK CITY (March 23, 2017) This past Saturday night, March 18 at The Mecca of Boxing, Madison Square Garden, in front of a packed house of 19,939 boxing fans and millions watching worldwide, GENNADY “GGG” GOLOVKIN improved to 37-0 with 33 knockouts with a superb performance in a 12-round unanimous decision victory (115-112, 115-112 and 114-113) over #1 ranked mandatory challenger DANIEL “THE MIRACLE MAN” JACOBS (32-2, 29 KO’s). NEW YORK CITY, March 15, 2017 — In front of huge turnout of media at The Mecca of Boxing, Madison Square Garden, Unified Middleweight World Champion GENNADY “GGG” GOLOVKIN, (36-0, 33 KO’s) and WBA Middleweight World Champion and Mandatory Challenger, DANIEL “THE MIRACLE MAN” JACOBS, (32-1, 29 KO’s) along with teams held the Final Press Conference leading up to their highly anticipated divisional clash this Saturday, March 18 at the famed venue in New York City. 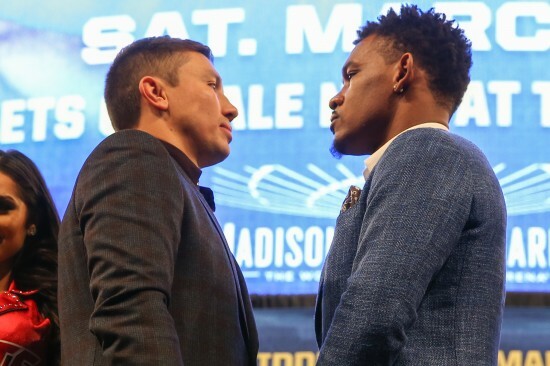 BERNIE BAHRMASEL/K2 PROMOTIONS: Welcome to the media and thanks very much for joining us on this International Media Conference Call promoting the highly anticipated World Middleweight Championship between Unified Middleweight Champion GENNADY “GGG” GOLOVKIN (36-0, 33 KO’s), and WBA Middleweight Champion and Mandatory Challenger DANIEL “The Miracle Man” JACOBS, (32-1, 29 KO’s), set for Saturday, March 18 from The Mecca of Boxing, Madison Square Garden in New York City.